A trip to Fort Collins would definitely be lacking without a visit to two of Colorado’s most famous brewing institutions, Odell and New Belgium, and the up and coming Fort Collins Brewery. To enjoy both the Smaller Spots tour and these famous breweries, we recommend making a weekend of it in Fort Collins. A couple of weekdays are even better, as these big operations are actually all closed on Sundays. And unless you plan far ahead in advance, reserving a Saturday tour at New Belgium can be nearly impossible. These are spots that definitely deserve a tour, (there’s a slide and a lot of beer samples). The weekdays also offer a quieter drinking experience (Saturday afternoon crowds can be seriously daunting). So, where to begin? To be honest, it really doesn’t matter. The best thing to do is start by making a tour reservation at New Belgium, earlier in the day if you can, and then base your day around that. Give yourself some time to enjoy a few additional tasters in the New Belgium taproom, (especially anything in the Lips of Faith series), and then check in at Odell for an afternoon tour. With three different tasting trays, and all worth ordering and sampling, Odell Brewing can consume a whole day (and a day that wouldn’t be wasted). Their co-pilot tray ventures into some really nuanced, adventurous styles, and often changes with the season and the brewers’ interests. Definitely try these super-craft beers, but don’t miss out sampling their production beer on tap . . . there’s clearly a reason that Odell continues to grow. Again, any order of visiting these three big spots will work just fine. 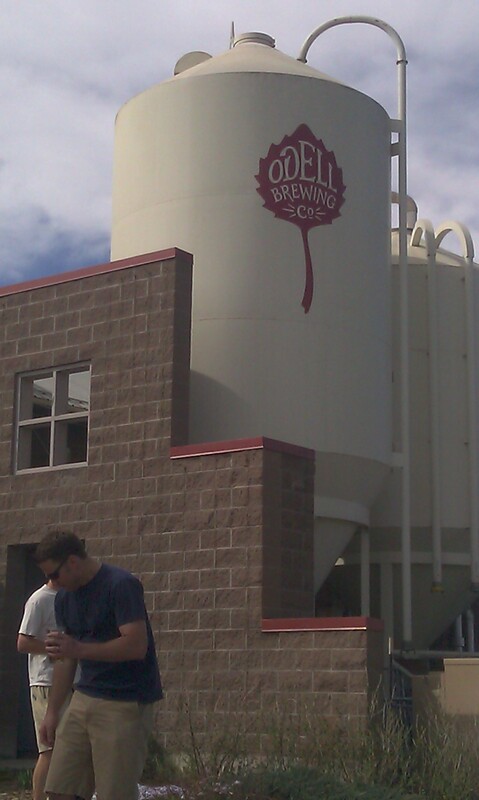 Ending your day at Fort Collins Brewery offers a nice link between the Smaller Spots of the 2nd drive and the nationally distributed operations of New Belgium and Odell. Fort Collins Brewery also has a delicious restaurant next door, and frequently invites guests to enjoy some sort of party or festival in their outside area (the Halloween party is particularly fun). With two different tasting trays, Fort Collins Brewery has a beer for everyone, and always a couple of really interesting brews on-tap. Again, the key to Fort Collins is to have fun, and try everything. Enjoy!